This week, Saturn replaces GrandPooBear while the crew is at GDC. We talk about GDC, what we did there, and drop some hints about things to come. Then we talk a little bit about what Warp World really is, and how much it means to us. The Nindies came out and Cadence of Hyrule blew us away. A new Legend of Zelda game, but from the indie developer of Crypt of the Necrodancer. This could mean a lot of interesting things for Nintendo's future. The Outer Worlds is Epic exclusive, people are angry. We have a Hot Take on if that's a good thing to do. Twitch added more cumulative sub badges, is that a great idea, or is it going to far? Did they implement it in the right way? Jaku gets salty about it because they talked about that instead of a stealth security update that is confusing the people it's trying to help. Last up they talk a little about Dark Souls and The Happy Hob who got a no hit run on every Soulsborne game just before Sekiro dropped. Congratulations! WE NOW HAVE A PATREON! Check it out at https://www.patreon.com/WarpWorld Check out https://coins.warp.world for a salty treat! 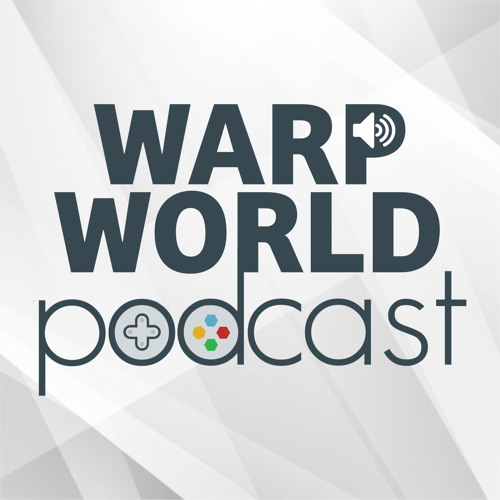 You can submit any questions you have to podcast@warp.world for the Ask the Broadcasters segment!